what did you use to cut the hole ??? I just finished following your pictures and managed to make one my self when i took my box off it didn't actually have any air feeds connected to it lol but ive managed to add the extra tube to it and hopefully should be all good . Hi all I'm in the process of converting a standard air box into a FRP spec air box. I hope to have it complete in the next couple of weeks. 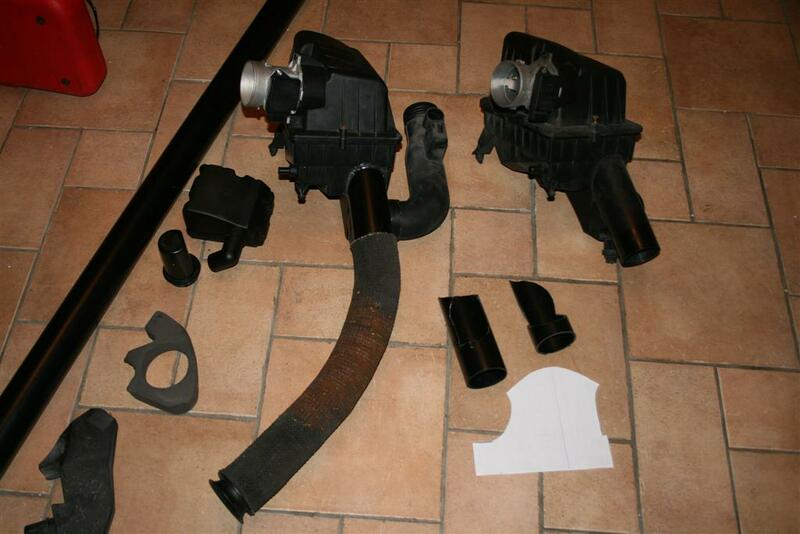 The picture shows the converted air box on the left and the FRP one on the right. did you make the part that slots in the front grill to make the cold air feed or is it an existing part on the puma? Can anybody give me the diameter please? 60mm? 70mm? anybody know the part number for the inlet pipe on a standard puma? What is the advantage or benefit of doing this mod? Seems pretty easy to carry out, but don't you need to reset/relearn or change the settings of air/fuel ratio? Anybody had the Puma on the Dyno after this mod? Ram Air Intake seems to do a good job on an engine but I'm reluctant for a lean AFR. 3Ddunk top work mate. You've nailed it. Thanks for sharing I am a big fan of this kind of DIY mod, ignore any snobbish remarks!